Briony Williams was one of 12 contestants who battled it out to become Britain’s best amateur baker on this year’s The Great British Bake Off. During her time on the Channel 4 show, she won praise for her breads, cakes and desserts – even winning the coveted title of star baker during pastry week. She made it as far as the semi-final – but on social media, she gained praise for a different reason. 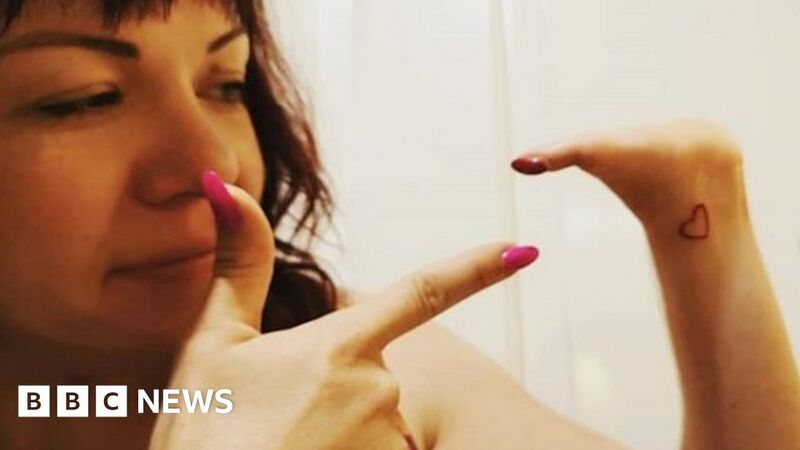 Briony, 33, has a disability – her left hand stops at the wrist. At no point did the show mention her disability. In fact, it took about three episodes for viewers to realise. “People would tweet, ‘I’m sure Briony had a hand last week’,” she says. It turns out this was a conscious decision between Briony and Channel 4. “I specified early on that I didn’t want them to make a big deal out of it because I just wanted to see how people would view it,” she says. And the response was positive. At first glance, some may think Briony would struggle in the Bake Off tent – juggling bowls and utensils, slicing and kneading – all under the watchful eye of judges Paul Hollywood and Prue Leith. But Bristol-born Briony never let what she calls her ‘little hand’ stop her from getting stuck in. Media captionBake Off’s Briony, Cold Feet’s Ruth Madeley and a performance from Kitch the rapper. Listen to the BBC Ouch podcast with The Great British Bake Off’s Briony, Cold Feet’s Ruth Madeley and a performance from Kitch the rapper. For more Disability News, follow BBC Ouch on Twitter and Facebook and subscribe to the weekly podcast. She turned down the offer of using special equipment, saying she wanted to be treated the same as everyone else. ‘It’s not that I’m embarrassed about it or ashamed of it in any way,” she says. “I want to be there on my own merit and I don’t want people to think that I’m getting special treatment. Even when her husband Steve suggested she ask for help during the spice-themed week, when she had to use string to create a biscuit chandelier, Briony used her resources to her advantage. Growing up, Briony’s family encouraged that resourceful streak. “My mum always had the approach with me – if you can’t do something, just figure a way out. I’ve never looked at it like it was any kind of disadvantage, I just had my own way of doing things,” she says. Briony’s baking career began in 2013, when she took several months off work for what was later diagnosed as Polycystic ovarian syndrome (PCOS). A colleague suggested she try baking as a way to keep her motivated and learn a new skill. Briony was up for the challenge. “I’m not very good at not doing anything,” she says. Briony refined her skills by watching YouTube tutorials, finding clever ways to get around any obstacles in the kitchen. If you’re kneading dough: “You don’t have to be a martyr and knead on a worktop if that’s not possible. If you’ve got a stand mixer I would recommend you use that because it will do the kneading for you. Using a marble rolling pin is very useful when you want to roll pastry very thinly. Crack an egg into a mug. Then, using an empty plastic bottle, squeeze the air out and hold it over the yolk. This year, 2018, has been a big year for disability representation in the mainstream media. Comedian Lost Voice Guy, also known as Lee Ridley, won Britain’s Got Talent. Due to his cerebral palsy he uses a talking iPad app to speak, similar to the equipment scientist Professor Stephen Hawking also used. And Paralympian Lauren Steadman became the second disabled contestant to feature on Strictly Come Dancing. So maybe we’re at a turning point in the way disability is represented on television. By appearing on The Great British Bake Off, Briony proved to herself, and the public, that with a little imagination and a few hacks, you can achieve anything. And in case you were wondering, this year’s competition was won by scientist, Rahul Mandal.